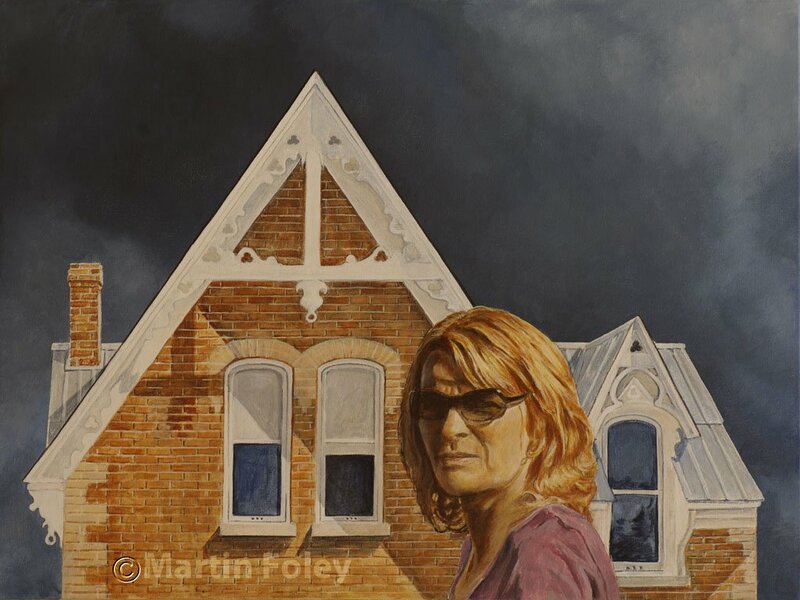 My husband's painting of me, titled "Canadian Gothic" was just accepted into Ontario's largest realist juried art show at Paint Ontario, in the portrait category. Oh my! Congratulations all around. Exciting to be in a juried art show, it is a stunning portrait. I agree so stunning and you must be proud of your husband. Congratulations to your hubby. Wonderful and so well deserved. That is wonderful, Kathy, and your husband is very talented. Wow, congratulations to your husband! What a seriously talented husband! Who needs a pitchfork guy, anyway? When he has such a great painting with just you. Besides, it's so difficult to find a dentist who is willing to sit and pose nowadays. Congratulations to both of you on the well deserved recognition. Fav. Can I vote? I would give you first choice if I could. Your hubby is a very talented artist and you make a wonderful model. Fav. I love it! Congratulations s to your husband!! Congratulations to your husband. He is very talented. Congratulations! You must be proud of your husband.